Gum disease treatment is one of the most common dental treatments performed by dentists, along with dental fillings. Almost 90% of the population will need gum disease (periodontal disease) treatment some time in their life. 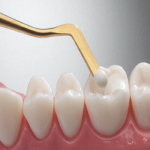 Gum treatments are aimed at removing the plaque and tartar from tooth surfaces and can be achieved through a number of procedures depending on the extent of the problem. 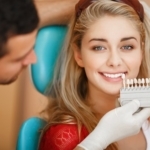 These procedures include scaling, root planning, curettage, flap surgery etc. We use high grade bio compatible bone grafts and guided tissue regeneration whenever indicated. 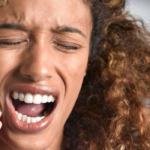 With periodontal disease being the number one cause of tooth loss, gum disease treatments are extremely important for the preservation of teeth and maintaining good oral health and proper mouth functionality. The increase of life expectancy and the focus on better quality of life has made the treatment of gum disease much more important than in previous generations. Having to wear dentures for several years because they had lost their teeth from periodontitis and tooth decay might have been expected for our grandfathers but no more in modern societies. Especially in our time when the advances in dentistry have to offer us several types of effective treatments for gum disease.